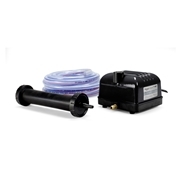 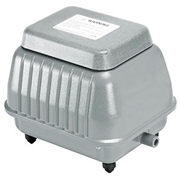 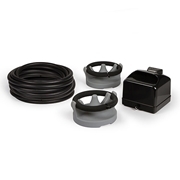 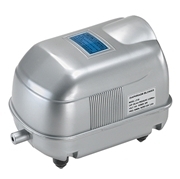 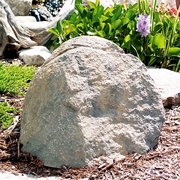 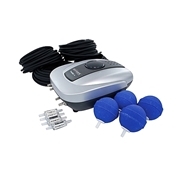 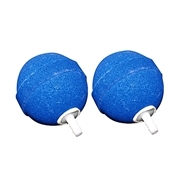 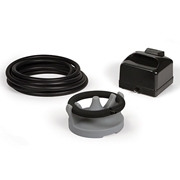 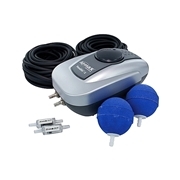 Pondliner.com offers a variety of air pumps for ponds and many different pond pumps to meet the varying needs of your backyard water garden. 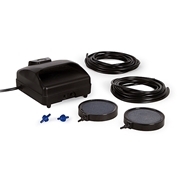 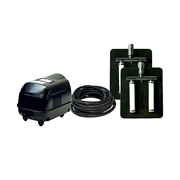 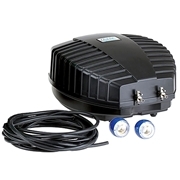 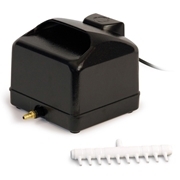 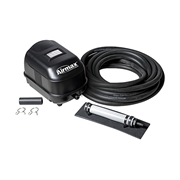 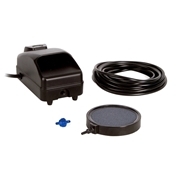 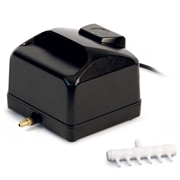 A pond air pump offers supplemental aeration for fish ponds and water gardens that can help create a healthier aquatic environment. 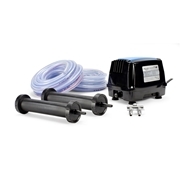 Ponds with heavy fish loads benefit from increased aeration during the hot summer months, because warmer pond water doesn't retain oxygen as well as cooler water does. 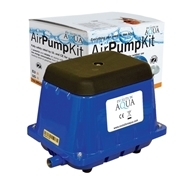 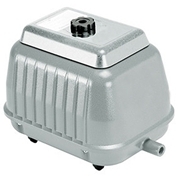 Air pumps for ponds are often needed in the winter months to maintain adequate oxygen levels when the main pond pump is shut down. 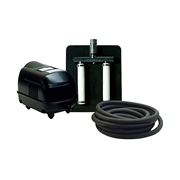 Explore our complete selection of pond aerator pumps to find the product that best meets your needs.